The Gifts For Nurses Nursing Toiletry Bag Is Convenient To Use Since It Has Zipper ClosureUsefull,space Saving,portable And Nice Design. Oxford Fabric And High Quality. Length 7.87inch, Width 2.36inch, Height 3.54inch. 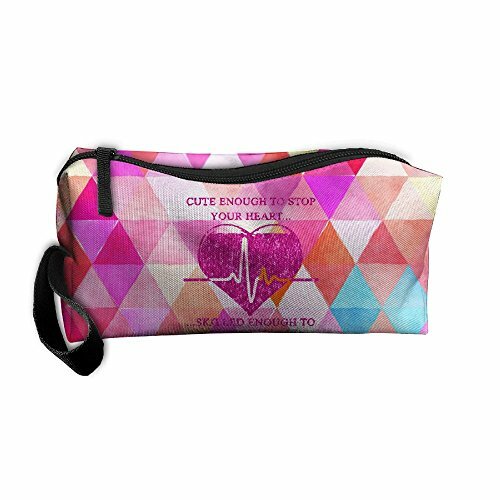 Classic Travel Toiletry Bag With Nurses SVG Cutting On The Front. You Will Get The Bag Within 1-4 Days,please Wait It Patiently. The Toiletry Bag Is Convenient To Use Since It Has Zipper ClosureUsefull,space Saving,portable And Nice Design. It Can Be Used As A Sewing Bag, Medicine Bag And So On. It Can Also Be Used As A Cosmetic Bag. If you have any questions about this product by HIBIPPO, contact us by completing and submitting the form below. If you are looking for a specif part number, please include it with your message.